Check out these truly fabulous gift ideas for both Hanukkah & Christmas! $50 PURCHASE comes with FREE $18 GIFT! 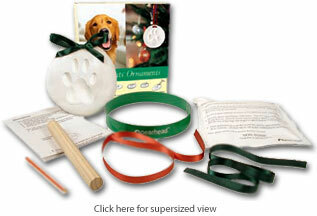 For a limited time only as quantities are limited, receive a Keepsake Pawprints Holiday Ornament Kit with a purchase of $50 or more from this holiday page. 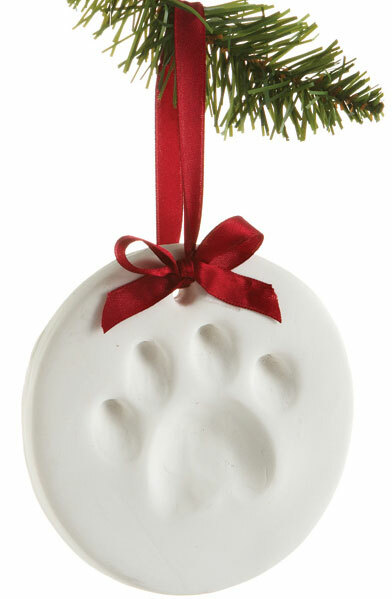 What a great way to adorn your holiday setting with a timeless pawprint of the most cherished member of the family. 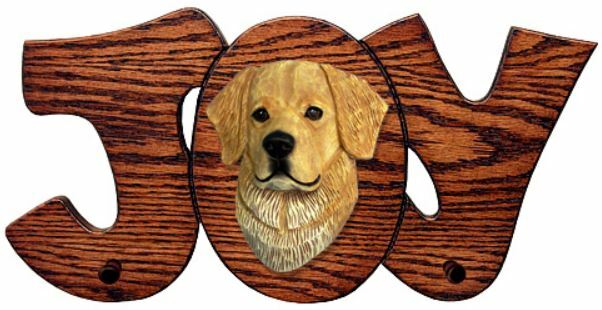 In 1987 Master Woodcarver, Michael Park, opened his own studio in Pennsylvania—instilling his love of dogs in all of his work. And, there, he carves among the company of his four dogs and a team of craftspeople to create beautiful renditions of countless breeds. Each piece from Michael Park's studio line is hand-crafted one at a time from original woodcarvings. With painstaking care and detail, the finished products have a charm all their own. Hand painted and finished, they truly are as special as the dogs they are celebrating. Cast from an original wood carving. Measures 5" wide. Red ribbon hanger included. If you are using this for a Hanukkah Bush rather than a Christmas Tree, we can provide a blue ribbon instead. Just note this change with your order. Hand painted. Please allow 3-4 weeks for delivery. Made in the USA. It doesn't get any more holly jolly than this! 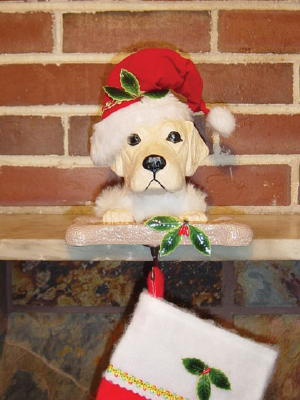 The Mistletoe dog collar is made from plush red velvet. And it is topped with a red satin flower with gold gilded edges, like a bow on the top of a present. All-metal buckles: Our whisper-weight aluminum buckles weigh less than an ounce! 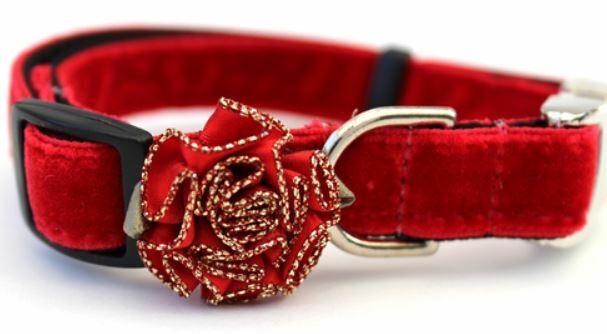 Diva-Dog adjustable dog collars are quintuple stitched at stress points for added strength. Such HOWLIDAY fun. Handcrafted in a small studio located in Oak Bluffs, MA, this adorable Gingerbread collection is available in 1 inch width in both side release and martingale collar styles. And, be sure to select blue or pink depending on whether this is for a little boy or girl furry ones. Matching leads are available in 4ft, 5ft and 6ft lengths. We have loved this plush toy forever. And, it honestly never stops talking when it is squeezed as it features Multipet's high quality voice box. 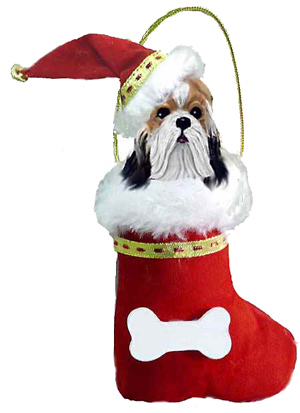 Jewish doggies want holiday toys, too. 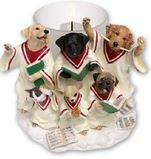 Now the dogs of Jewish families can enjoy the Festival of Lights throughout the Hanukkah celebration. These Hanukkah toys that will make your sweetie a real mensch! It plays the classic dreidel song when squeezed. 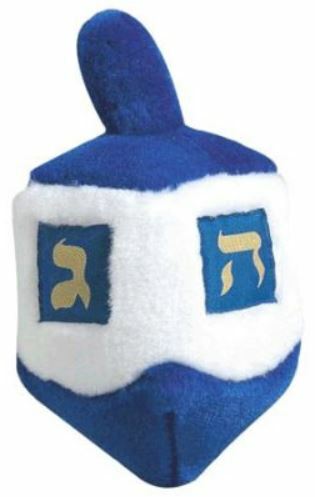 "Dreidel - Dreidel - Dreidel. I made it out of clay. And, when it's dry and ready, oh Dreidel I can play!" Measures 6" x 3" x 3"
Watch the video below to hear for yourself. Montana artist Phyllis Driscoll has created the most wonderful ceramics. 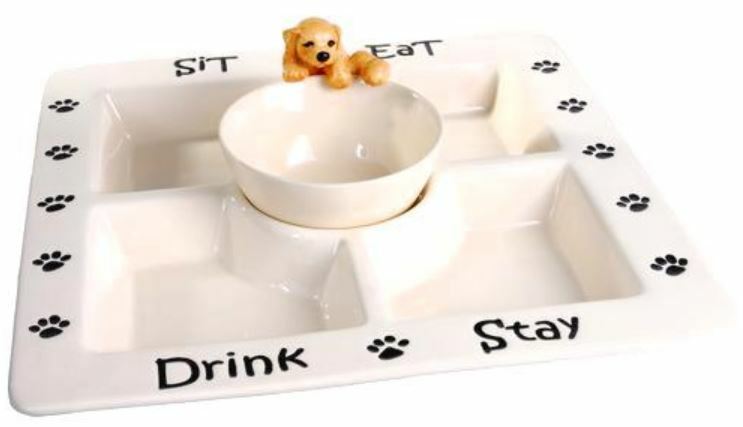 This chip and dip set is just adorable. A true gem. This set would make a wonderful serving tray for appetizers and veggies, as well as that for chips & dip. 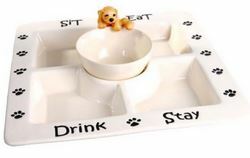 The tray features four compartments and a separate bowl. The tray measures 12.5 inches square and the dip bowl measures 4.5 inches. You definitely want this collectible for your next party. Sadly, this line is no longer available so to obtain any of these now collectible pieces is next to impossible. And, they are definitely MUST-HAVE pieces. Once this single piece is gone, that will be the end. 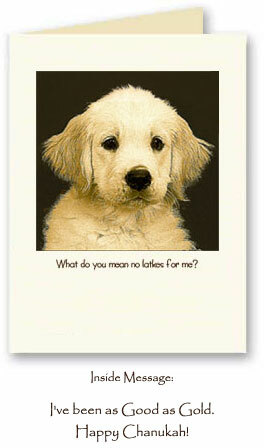 Golden Mom Rochelle created this art card based on an early puppy photo of her English boy, Alfie. Be sure to click on the cards to see supersized versions and their adorable fun messages inside. 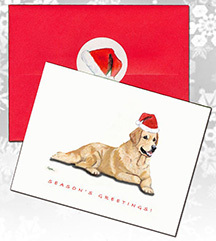 The cards are printed on oversized 5¼" x 7¼" quality classic ivory linen cards, which are a hefty 80-pound weight. They include matching 70-pound ivory linen envelopes. 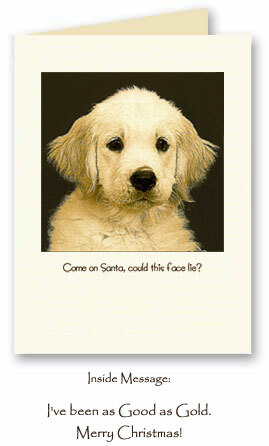 One of our adorable sleeping puppy stickers (can be purchased separately) will be enclosed with each card as a free gift! They are great to affix to card envelopes as an embellishment or as a type of seal. What a gorgeous piece to ring in the holiday season. 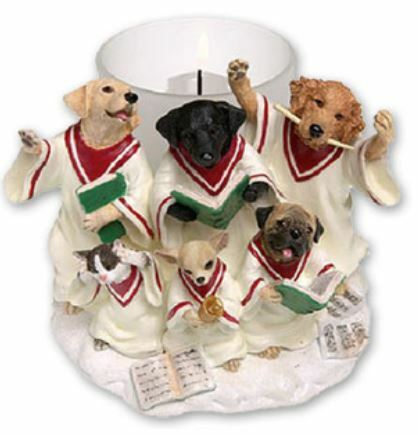 The candle holder features a Golden Retriever, Black Lab, Yellow Lab, Pug and Chihuahua in mid-song. Oops, we almost forgot. It also has a non-music loving kitty covering her ears. What a perfect addition to your holiday decor. The dimensions are 6 inches high and 4 1/2 inches wide. Sadly, this line is no longer available so to obtain any of these now collectible pieces is next to impossible. And, they are definitely MUST-HAVE pieces. Only two remain and once they are gone, that will be the end. Montana artist Phyllis Driscoll has created the most precious ornaments we have ever seen. The detailing is unbelievable, especially when you consider that the work must be done in miniature. Sadly, this line is no longer available so to obtain any of these now collectible pieces is next to impossible. And, they are definitely MUST-HAVE pieces. Once this single ornament is gone, that will be the end. 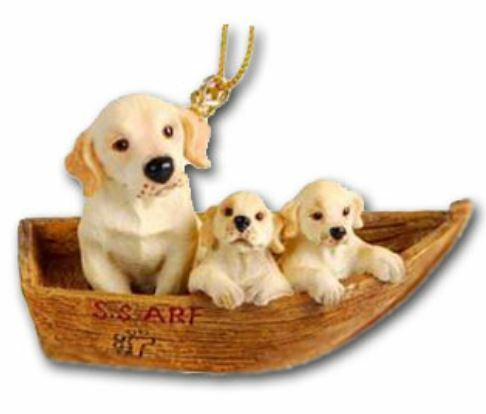 Let these puppies dock on your Christmas tree. 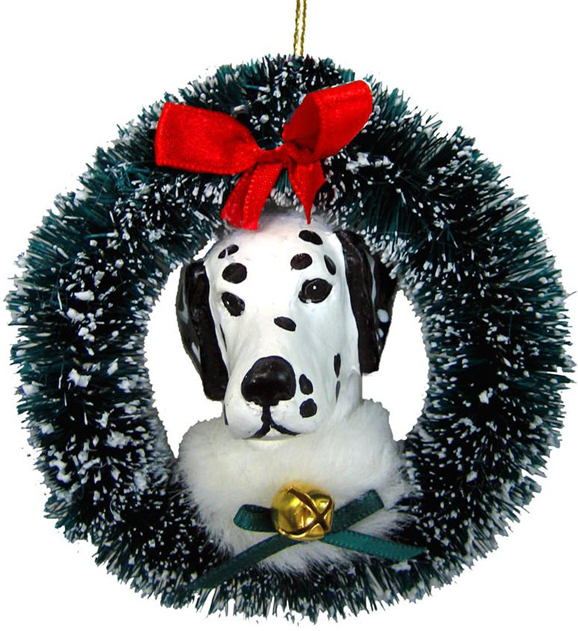 The size of the ornament is 1.75 inches wide.